Ratchet handcrafted leather Belt. Micro-adjustable for 32 different fits with a ratcheting track system. 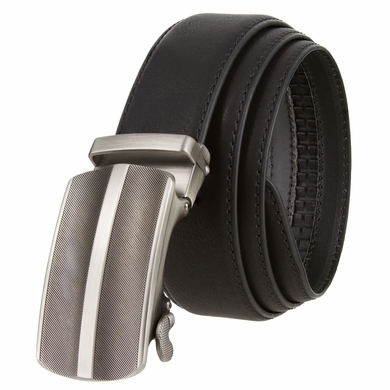 Gunmetal style buckle with a loop and a quick release for the strap. Quick release lever to slide on and off the belt strap. Easy belt to take on and off faster. Measure where you wear the belt in order to get the best size.